I think that I mentioned earlier that Kacey and the kids left the Outer Banks headed for Florida while I headed back to D.C. 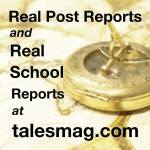 The plan is to rejoin later this week, and I had a little over two weeks of "alone time" to get all the various projects completed that there just isn't time for with two little kids around. 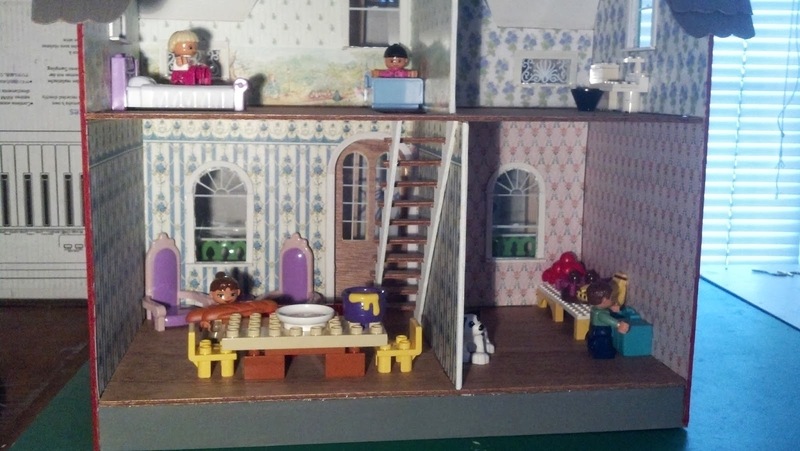 On top of that, even those plans got changed when I decided to construct a doll house during the girls' absence to surprise them when they get home. 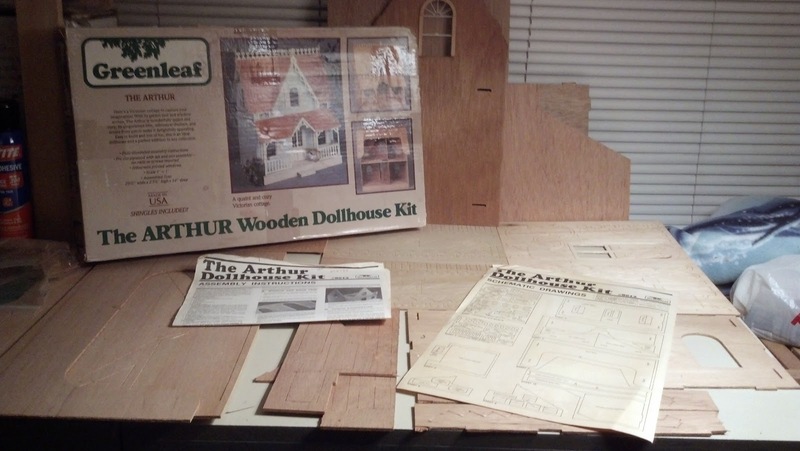 My mom gave me the Greenleaf Arthur Dollhouse Kit during her last visit, and I figured "How hard can it be?" All the parts are here, this should be easy. 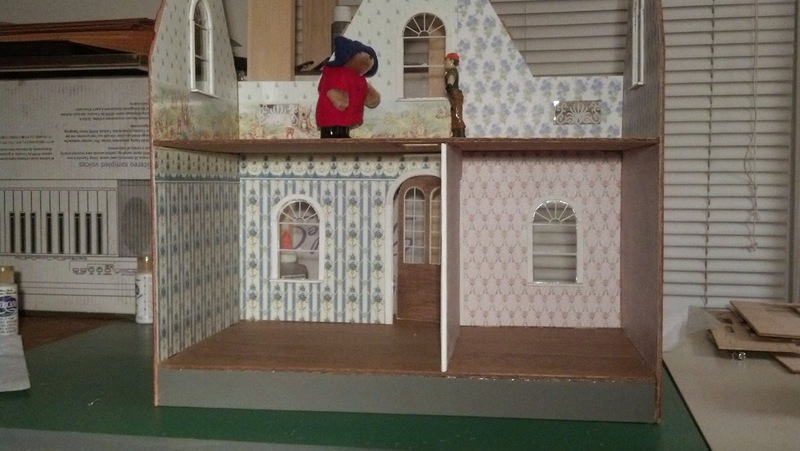 For starters, I've never built a dollhouse. So, I had to read up on techniques and methods. And buy more craft stuff! So, before our trip to the OBX, I took our three-year-old to Michael's, which, truth be told, is one of my favorite stores where I can let my imagination run wild. I let her pick out the colors of paint (with some guidance) and also picked up the hot-glue gun, brushes, exacto blades, etc but I didn't tell her what I was making. She just enjoyed walking around a big store with so much new stuff. I never thought of myself as having a hobby, but I guess making things counts. I'm going to miss Michael's when we go overseas. 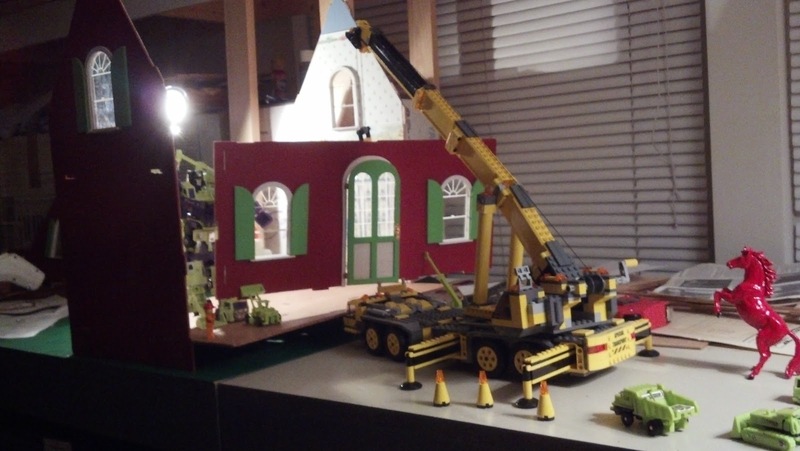 Anyways, in the spirit of going above and beyond, I thought it would also be a fun idea to make the house look like it was built by toys. Fortunately, I still have a lot of my childhood toys in keepsake boxes in the closet so I pulled them out for this very special assignment. 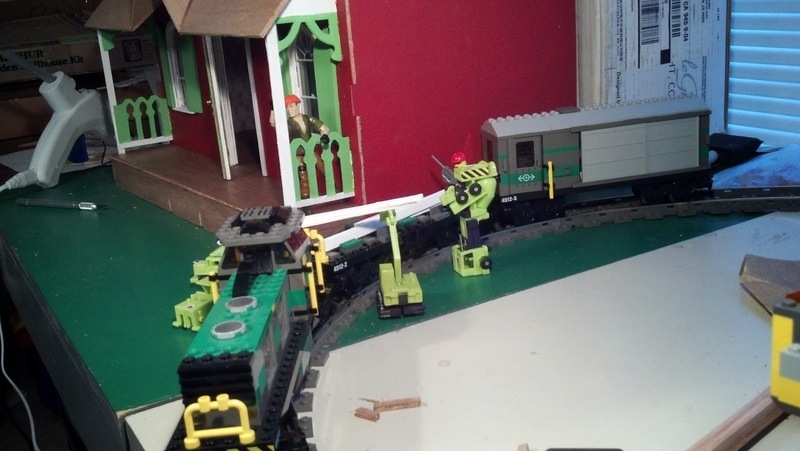 You may recognize the Constructicons, the Lego XXL mobile crane (set 7249), and G.I.Joe Tollbooth in some of these pictures. But to ensure that the girls' interests were being kept in the forefront, Paddington Bear was selected as the Quality Assurance inspector. 1) Mark your pieces with the part name when you're popping them out of the sheet. Also, perhaps more importantly, make sure you get ALL the parts out for that step at the same time. I think I had three iterations of painting the trim because I kept finding parts that I overlooked. Step One of "Put all trim on the walls" took about three times longer than it needed to because of this. 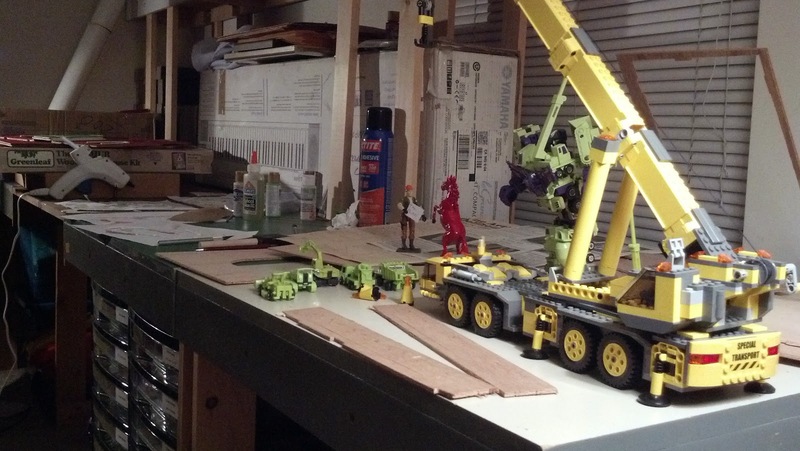 But you definitely want to have all the big parts finished before gluing things together, as it's much easier to work on a flat surface than the highly constrained area that results after you've glued things together. This is when I realized that there was interior trim to be installed. 2) You can make dollhouse wallpaper out images printed on bond paper, sprayed with acrylic, and mounted with spray adhesive. 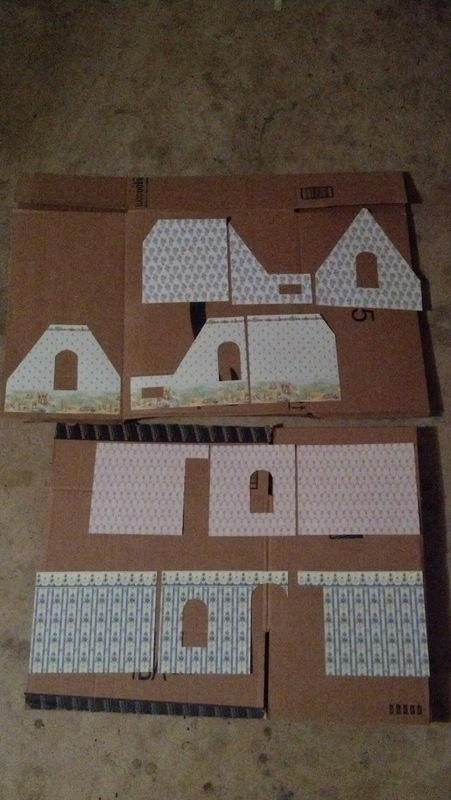 I used this dollhouse wallpaper website for several rooms in the house. This saved a lot of time in painting and I think it is a much better product because of it. Also, I found some Peter Rabbit wallpaper that I used for the bedroom. The trick to cutting the paper to size (including window openings) was holding the paper in position on the wall and then looking at a sunny window. The hole I need to cut out was illuminated for me to trace and cut out. Easiest part of the whole project. 3) Hot glue is a fickle mistress. You only have a few seconds to get a long piece into position because one end is cooling down to a nearly unworkable temperature by the time you finish applying the bead of glue to the length of the piece. You simply have to pre-fit all the pieces to make sure they would go into position easily the first time. Also, sometimes you have to cut out the glue you just put down to get the next piece in position. I had to remove the front of the second floor and re-install it because the glue used to bind the second-story floor to the walls interfered with it. Thirdly, hot-glue, as the name implies, is hot. I must have scalded my fingers a half-dozen times trying to get the difficult-to-access trim under the porch roof glued into position. One technique I developed to remove excess glue was to let the glue cool a little bit and then just rub my finger over it, since it preferred to bond to itself than to the painted parts. 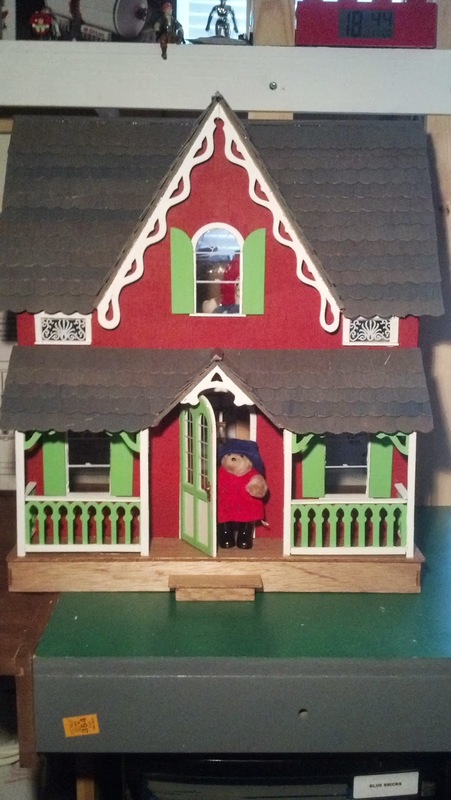 Perhaps the most time consuming part of the project was the shingles. It took three hours to cut them out of the sheet, and even longer cutting them to fit the angled roof. The best tip I read on this was to use masking tape to keep all of the shingles together in strips until they are glued to the roof. 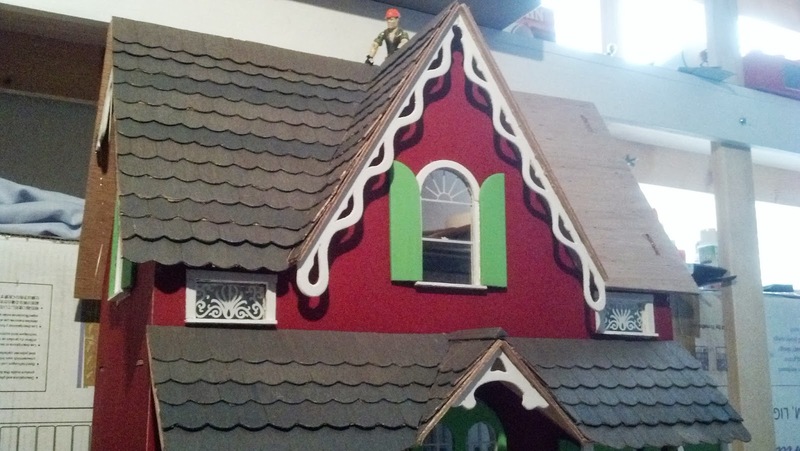 Another good tip is to mark up the roof with grid lines, so that there is some sort of reference for aligning the shingles before the glue cools. As you can see, there are a lot of shingles. Overall, I did get the project done in the time I had planned for, but I definitely didn't get it to the quality I had hoped for due to the fact that I didn't actually work on it for as long as I had planned to. Shortly into the project, I realized that the amount of sanding required to get the parts to my expectations of smoothness was unrealistic and impractical. I also probably should have had more ventilation, as I had to stop working every once in a while because I was having difficulty concentrating. These stopping points became apparent when I realized I had glued parts in backwards, or misread the directions, or some other lack of attention to detail. But I'm satisfied with the final product, and I think the girls will be, too. 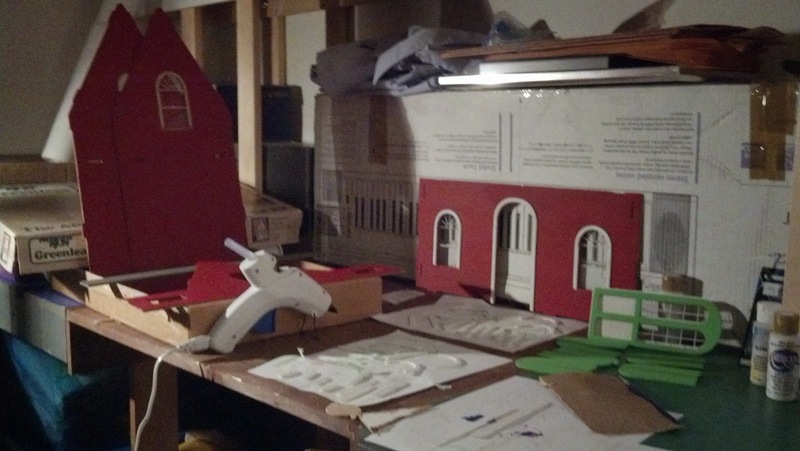 Here's the link for the entire project documented in pictures.